Donald Walter Renn drew his last breaths in the early hours of May 5, 2018, at the Sussman House in Rockport, Me., with his devoted wife of nearly 63 years by his side. He was 86 and had lived in South Thomaston for 12 years. Dr. Renn had been in declining health for some time. A research scientist with a long and illustrious career, including more than 70 patents to his name, Dr. Renn approached the world with curiosity and vigor. 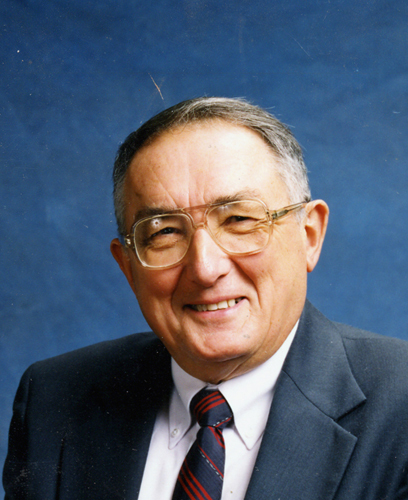 He actively contributed to advancements in biomedical science for over 60 years, from his eight years in cancer research at Pfizer in New Jersey—for which he turned down a Fulbright scholarship in Germany—through senior positions with Marine Colloids and FMC in Rockland, Me., to his own company, Creative Solutions, through which he consulted for organizations ranging from biomedical startups to Fortune 500 companies. Dr. Renn took great pleasure in traveling the globe, collaborating with scientists in his field, giving keynote speeches, helping start laboratories, meeting Nobel Prize winners, and mentoring young scientists. Born March 23, 1932, in East Rutherford, N.J., Donald Walter Renn was the son of J. Austin Renn and Florence (Shoup) Renn. Arriving in Lancaster, Pa., as an infant, he attended Manheim Township schools and Franklin & Marshall College before leaving Pennsylvania for graduate school at Michigan State University, where he received his Ph.D. in organic chemistry. Donald Walter Renn is survived by his beloved wife, Patricia Eaby Renn, and their three daughters: Lori Renn Parker (and her husband, Marsten) of Reading, Mass. ; Lisa Renn of Bethlehem, Pa.; and Carrie Renn Hrichak (and her husband, Edward) also of Bethlehem. He is survived by four grandchildren: Kristin Parker (and her husband, Kyle Schaefer), Katya Hrichak, Julia Parker, and Nikki Hrichak. Don leaves his sister Mildred Martin (and her husband, Edwin) of Midlothian, Va.; his sister-in-law Betsy Renn of Lancaster, Pa.; his cousin Janet Mulaney (and her husband, Kenneth) of Benton, Pa., and five nieces and nephews. He was predeceased by his half-brother Tom Renn. A memorial service is planned for the fall. In lieu of flowers, please make contributions in Dr. Renn’s memory in support of the Chemistry Department at Franklin & Marshall College, Office of College Advancement, P.O. Box 3003, Lancaster, PA 17604-3003, with checks payable to Franklin & Marshall College (where the seeds of Don’s interest in chemistry blossomed into a distinguished career); or in support of the groundbreaking work of Holmes Morton, M.D., to the Central Pennsylvania Clinic, P.O. Box 5806, Belleville, PA 17004 (Dr. Morton’s dedicated personal attention saved a granddaughter’s life); or in support of the Sussman House to Pen Bay Waldo Healthcare Foundation, 22 White Street, Rockland, ME 04841, memo line “Sussman House” (where Don passed his last hours in peace and comfort, surrounded by love).